Putting the TREAT into TREATMENT! What can be better than a gift of relaxation and well-being? Gift Vouchers can be sent by post (free of charge) or collected. 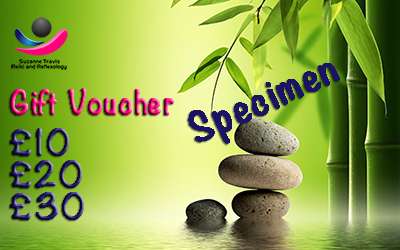 I am always happy to donate reflexology gift vouchers as raffle prizes for worthy causes. Vouchers are valid for 3 months after date of purchase.